Circular window sight glass with flat glass design. This range of circular window sight g;asses are widely used in compressor crank cases and other machine housings and have proved to be highly reliable, economic and space saving units. 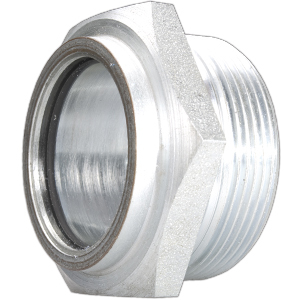 Manufactured in Zinc plated Mild Steel, or Stainless Steel, fitted with either Viton or Nitrile seals. 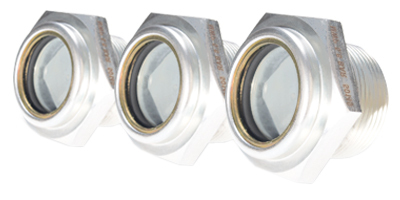 This range of window sight glasses has a max pressure rating of 16 Bar.